There are two ways that you can load drawings from the Scan application. Launch the Scan application and login. 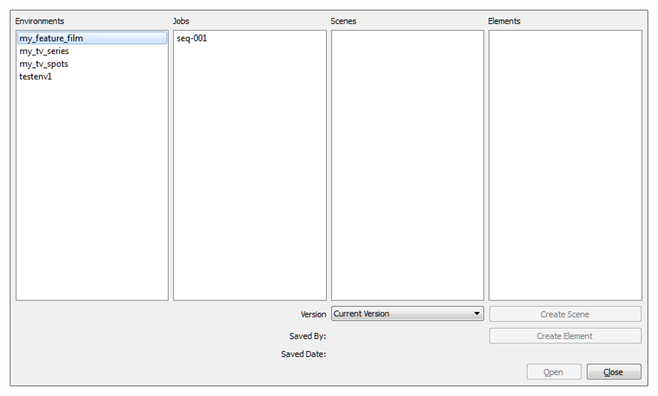 The Database Selector dialog box opens, displaying the Environments available form the Harmony database. Select the Environment, Job, Scene and then the Element you want to scan. 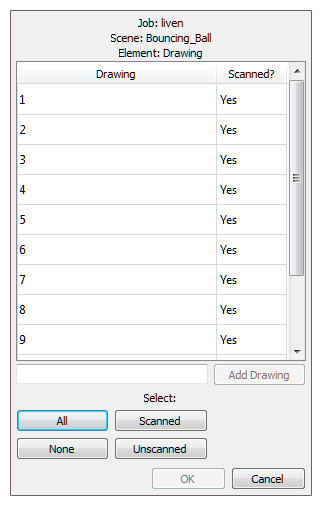 The Drawings Selector dialog box opens, listing all the drawings contained in the selected element. The Drawing column displays the names of the drawings. The Scanned column indicates if the drawing has been scanned. 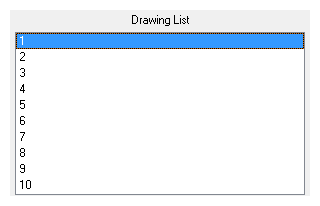 If needed, add new drawings to the list by typing in a drawing name in the Add Drawing field and click Add Drawing. The new drawing appears in the list. Select the drawings to scan. ‣ Select the specific drawings from the list. You can select several drawing using Shift + click. Click All to select all the drawings in the list. Click None to unselect all drawings. Click Scanned to select only the drawings that are indicated as scanned (Yes) in the list. Click Unscanned to select only the drawings that are indicated as not scanned (No) in the list. The selected drawings appear in the Drawing List column. Once your session is started, you can open the Database Selector window at any time to load other drawings. Select File > Open Drawings. Follow steps 4 to 7 in the previous procedure: "How to start the Scan application and load your scene".